They did it! Each child had to write how they would cook a turkey. We took the steps to the final draft and practiced reading them out loud. We talked about eye contact, prosody, and their TV personality. These firsties are the BEST! The class was treated to a behind the scenes tour of the kitchen and even filmed their stories with cooking tools! They did a fabulous job in the kitchen thanks to the fabulous lunch ladies. The kids really enjoyed the freezer the best. I think Elijah was the bravest one by going in the freezer. We looked at the mixer, behind the line where they get hot lunch, and the warmers even had 2 doors. Overall it gave the kids a real sense of cooking a turkey in the kitchen. It was so much fun. Enjoy the movie. Thank you to the fabulous lunch ladies for always taking care of us. We love you ladies! Make sure to follow the directions on your turkey and not from these 6 year olds, unless you want to visit the hospital. Happy Thanksgiving to all of you! 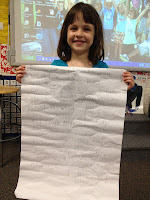 Breella wrote a story, The Ghost House. I thought it was as cute as could be and said hey we should publish that! I wanted to try out the Puppet Pals app on the iPad so there we went... Breella got sick, I sent the story home to practice, things happen and before you know it we passed up Halloween. Well it was too cute to toss to the side. Here is The Ghost House by Breella Moon. Watch out world...she is going to be famous! I love those family projects! I am a parent too and I know it takes time and energy when you have an already busy day. That is why I try to give my parents 2 weekends to complete the projects. It is so well worth it-just check out the video to see. I know when my own children have projects it seems like such a chore but the memories we create are priceless. I love talking to them and hearing their ideas and creativity. After all I helped make these little people and it makes me smile to hear them growing, learning, and laughing while we do it. Before you know it your baby will be off to middle school... The Firsties and families did not disappoint this year. These disguised turkeys are fabulous. Enjoy them. The video is finally done! So yes I have a problem taking too many pictures and then I have to go through them all to make the movie. These firsties are the cutest little people in the world! The 50th day is always the cutest with the poodle skirts, ponytails, and rolled up jeans. Check them out in the video. This year every 1st grade teacher had a different center activity in their room. The kids rotated through them all and had a blast! We hula hooped, blew bubble gum bubbles, tried root beer floats, danced, made records with numbers greater than and less than 50, built sculptures with cups and Legos, and drew wheat we thought we would look like at 50 years old. We couldn't have done it without the parents to volunteer and send in the supplies. THANK YOU!! Enjoy the pictures, the kids did making them. Each year the firsties and their families decorate a pumpkin. My favorite part of the family projects is listening to the firsties share how their families chose to decorate the pumpkins. FUNNY is all I can say. You should stop by some time and listen after a family project due date. We try to use this opportunity to improve our speaking and listening skills. After each friend we share comments about the things we like about their project. I was so proud of the sincerity of the comments and you should have seen the smiles, priceless. I told them to start thinking about disguising a turkey, can't wait... Check out the video below and share a comment. We love compliments. AMAZING! is the word that comes to mind. I visited the Ron Clark Academy on Friday and it was amazing! I was overcome walking in the Media Center with the kids singing, everyone dancing, and the man Ron Clark walking around. Let me explain I have known since I was 8 years old I wanted to be a teacher. Over the years the passion and drive have at times consumed me and I wonder why? I think about it often and it is because it is the plan God had for me. Everyday I can change the world one child at a time. We met up with Chrissi Major from Promethean to start our adventure. Junior, the technology coordinator of the Ron Clark Academy, and I started talking and he was witness to my eyes leaking and then led Deanna and I upstairs to take pictures and then convinced me to go bungee jumping. Too bad for me time ran out. That is where the adventure truly turned magical. We started with observing the new 5th graders in Mr. Clark's Global Studies and Math class. We visited other classrooms and watched the children. There were so poised and articulate. I had lunch with four young men and the world better watch out. They are going to do great things. We enjoyed lunch and had fabulous conversation. I was impressed with Miles, Darius, Ryan, and Jibril. After lunch, we attended some workshops with some ideas to take back into our classrooms. At the end of the day we got slide certified! Make sure to check out the video from my iphone. I took it while I went down the slide. I get up and then turn the camera to catch my friend Deanna coming out of the slide. It was so much fun-you can hear me screaming right? Since it was Friday we got to watch the house cheers. These kids are talented and they had the crowd cheering and yelling for them. The last part of the day was saved for signing books. Of course I have all his books and have read them at least twice. It was magical. The energy is something I find hard to describe. There is so much love, patience, passion, and creativity in this 100 year old brick building. I truly am touched to have witnessed all of this. I will try to take the energy and passion I was a part of and spread it to everyone I can reach...Thank you for letting me share such an amazing adventure. We LOVE LOVE our new Guidance Counselor, Mrs. Kral. She visits us each week and talks with us about building our life skills. Our school adopted 16 life skills this year to improve upon to help us reach our full potential. The life skills include caring, responsibility, integrity, friendship, sense of humor to name a few. Guidance ran a poster contest. 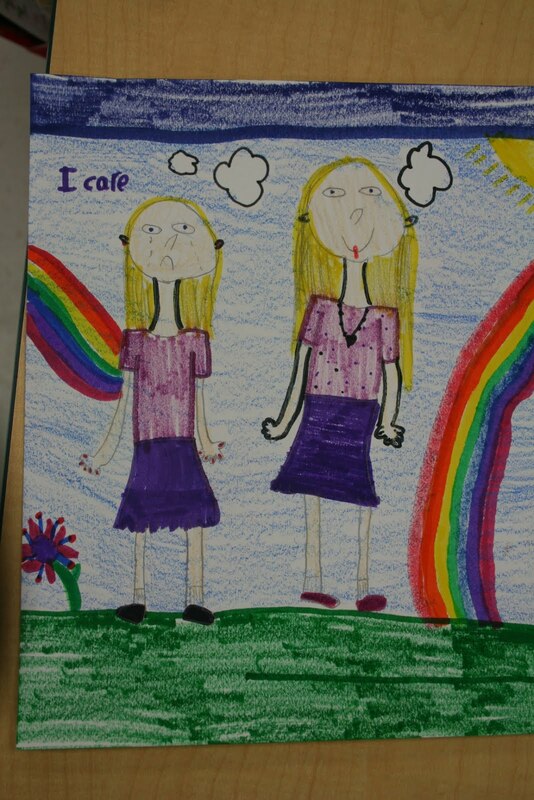 Children were asked to create posters to promote any of the life skills. They were so cute! Each grade level was awarded 3 winners and our class had 2! YIPPEE what great little artists. Take a look at these winning photos. Congratulations to Kayli, she won 1st place with a ribbon and a Target gift card. Congratulations to Alexa, she won 2nd place with a ribbon. We are so excited for you girls! Every year the fabulous Coaches put on the Fishing Tournament. Families are invited to join in under the Dunlawton Bridge to fish with free bait, eat lunch,and win prizes. Well it was bigger than ever! They were catching fish left and right. I even saw a puffer fish and stingray. I have to go to school today to find out the numbers and will update later today. Of course, I brought my favorite kids, Kaile & Carson along for the fun. Check out the firsties, teachers, and other CCE kids having fun Saturday morning. A BIG THANK YOU to Coach Glover and Coach McLean for making many happy memories for all the Cypress Creek families! You guys are the best! Thanks to Mrs. Fuit we had a real alive fireman visit for Fire Safety Week! Firefighter Drexler from Deltona Fire Department talked to the firsties about being safe during a fire. He talked about the importance of having a meeting spot just in case. Do you know your family meeting spot? 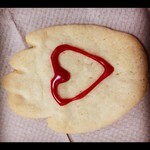 Make sure to make one today. He dressed in his full bunker gear to show the kids fireman are not scary and you shouldn't hide in case of a fire. The kids were able to ask questions and we learned many things from Fireman Drexler. I think my favorite question was "Do you have that spotted animal?" Fireman Drexler went on to explain they used to have Dalmations way back to almost herd the horses that drew the fire engines way before fire trucks. Funny, never knew that. He also told the kids when he enters a room he starts at the door and goes along the wall and eventually he gets back to the door by staying along the wall. I never knew that! I even have a firefighter brother. Just goes to show you learn something new everyday. Thank you Fireman Drexler for being such an awesome speaker! Thank you to all the firefighters that put their life on the line everyday to protect us. We think of you now during Fire Safety Week and hope you keep safe, especially my little brother...Firefighter Eddie, Volusia County Fire Department. Last year the Ron Clark Academy and Promethean sponsored the Thank a Teacher contest during Teacher Appreciation Week. thank you to Renee Williams for talking to the firsties and submitting an entry. I might not have won but I sure did feel like a SUPER teacher after the entry and the FaceBook likes. Take a look at this video about the Ron Clark Academy. Dr. Potter from Daytona State College made a special visit to the class. Every year Dr. Potter comes in to meet the firsties and tell them how important it is to read, do math, and come to school every day. He brings note pads, pencils, and stickers to share. We LOVE when he comes and tells all about Daytona State. We even have a mom this year that is one of his senior interns at a local elementary school. 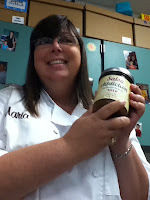 YIPPEE Mrs. Robinson keep up the good work! It is hard to believe that it is already the end of September. We had a fabulous turn out for Open House! The kids were so excited to show off the classroom and their work, especially their journals. There was much excitement and it now seems like a blur. I was so glad to get to talk to everyone and can't wait for more events to share our year together. Enjoy the movie. Thank you Breella for making my day. I ask the class what do you think it could be? OK the BEST was "Oh, there's nothing in there. It has a bunch of zeros on it!" Made me laugh out loud. Can you see why I love my job? Out of the mouth of babes... Another one piped up with "Cupcakes!" and then I dropped the box by accident. Great... We were going to have our August birthday party at the end of the day so that was a pretty good guess. I decided enough was enough and opened it up. Make sure to watch below. It was great fun! Thank you to Meredith and Kim and most importantly Ms. Suzan, our seamstress-we had a ball and can't wait until we see our Zero the Hero again...how many days? HAPPY BIRTHDAY August kids! We had a great lunch in the classroom and then a party at the end of the day! Thanks to all the families that helped make it so yummy! WOW! We missed Chester again! So tomorrow is the BIG day! I am ready for all my new firsties to take a look at their new home away from home. Here is your sneak peak. 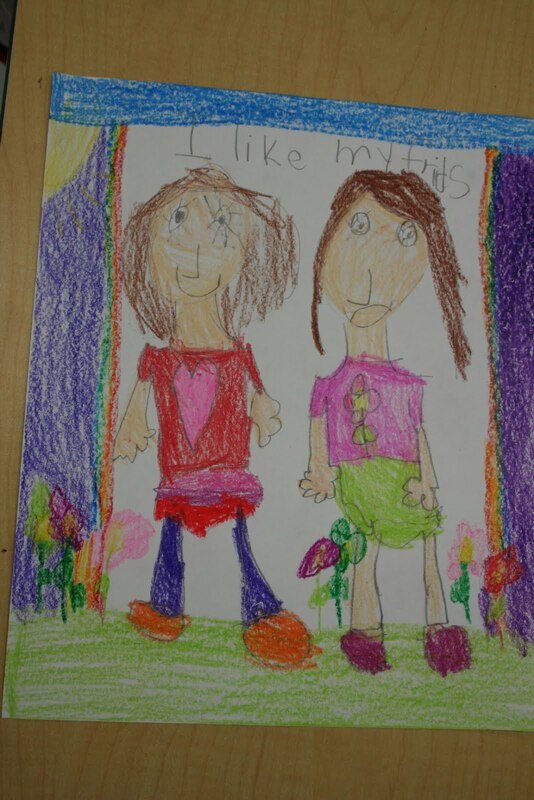 I just love 1st grade! I will let you know how the 1st day goes so I will see you back here tomorrow. I sure hope I can sleep. Today was Meet the Teacher and I had the pleasure of meeting 18 of the 19 firsties I will get to spend the next school year with and it was FABULOUS! Thank you to all the families that turned out to get a quick peek into where all the magic happens. I just love teaching and 1st graders are the BESTEST ever! 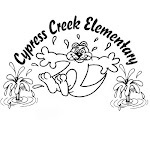 Some of my new friends were a little cautious and I can understand that but it won't take long for them to see all that we have to offer at Cypress Creek. 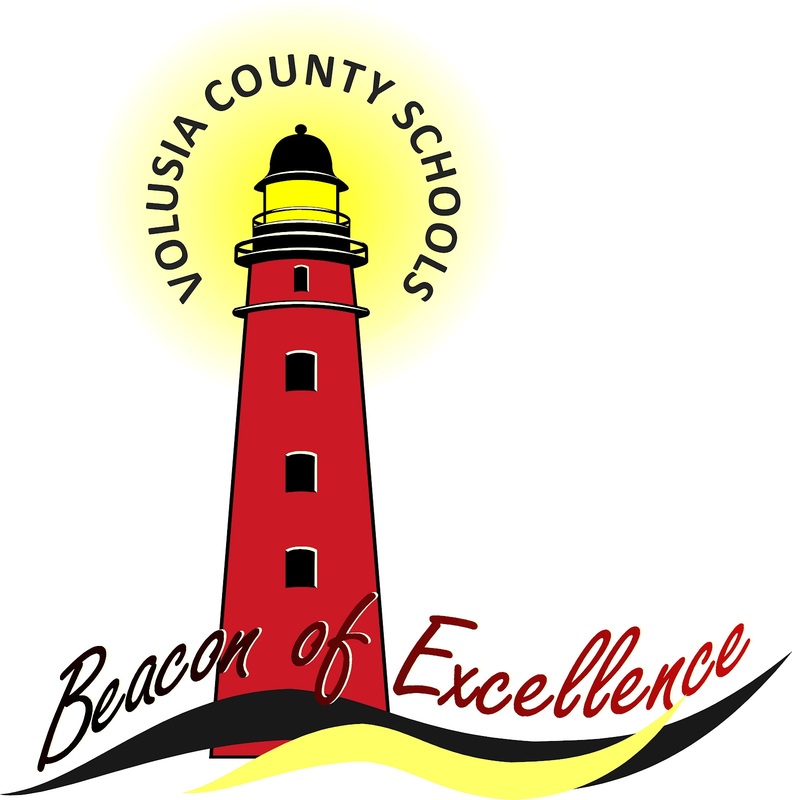 Volusia County's theme for the school year is Beacon of Excellence. Check out the cool logo. So I looked up beacon and wikipedia says, "device designed to attract attention to a specific location". I want others to see our classroom to attract attention to the bigger picture, I mean place, Cypress Creek Elementary. We have so much to offer. I hope the children will showcase their thinking and inspire others to learn along with them. I hope the parents will share our learning with family members because after all you heard "it takes a village." I hope my teacher friends that read our blog will be inspired to design an environment that will attract attention to what we can all do to be better teachers for our young people. I do so love going to work each morning, reading with my friends, learning about math, performing experiments, and just listening to their stories. So thank you for trusting me with your little people and I hope you see our light shine throughout the upcoming school year. Common Core? What is that? 46 of the 50 states have adopted a set of standards to prepare our children for career and college readiness. For so long we have taught a "mile wide and inch deep." Meaning we taught so many things but skimmed the concept. Common Core is teaching to depth and understanding. WOW a shift I know. Fortunately the K-2 teachers at Cypress Creek piloted Thinking Math Common Core Edition training this past school year. We read the standards, collaborated with one another about what it would look like, and even visited a school to see it in action. Since we were the pilot we were offered an opportunity to attend the AFT National Stakeholder's Conference in Baltimore. Cypress Creek Elementary was highlighted and given time to speak to a room with over 200 educational leaders from across the United States, with only 30 minutes to share our success, funding, and next steps. We wanted to showcase teachers, parents, and most important, our children and share their excitement. Thank you to Mrs. Williams, Mr. Wheatley, Devyn, Andrew, Brady, and Cate for letting us share you with the world. The message was well received and here is the video we shared. 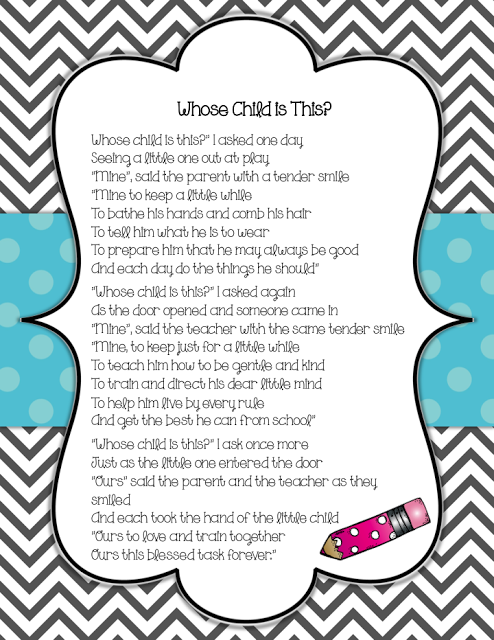 Somehow our Little Red Hen reader's theater didn't make it to the blog. How in the world did I miss that? They kept reminding me and so here it is... I have to say I just love those firsties! Miss you guys and hope you are having a fabulous summer. Make sure you are reading a book. Shouts out to Jaidan. I saw him a few days ago enjoying the day with daddy. Who will I see next? 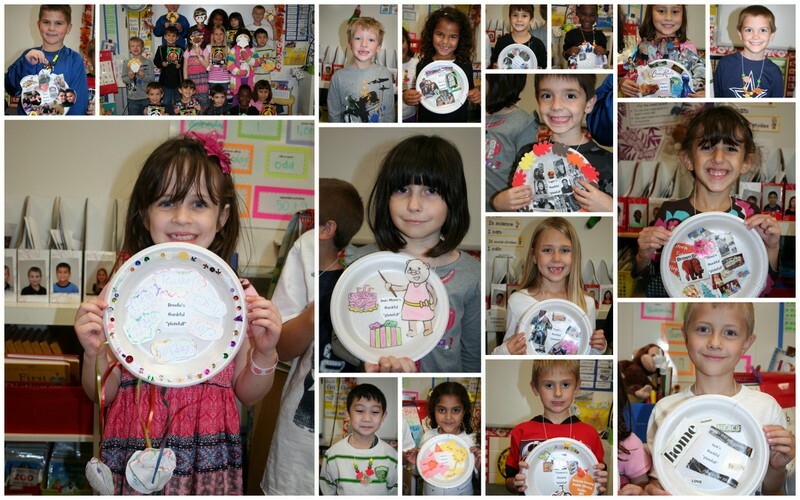 We celebrated Mother's Day with our annual Muffins for Mom and Donuts for Dad breakfast in class. Parents spent a few minutes with us as we showed a movie and shared our favorite things to do with parents. First graders say the cutest things and that makes it even more special when you can capture that moment on film. This class was no exception. I found out this year's moms are beautiful, get dressed up for weddings, wear makeup, and look prettiest in heels. Make sure to check out the video below. I did not win the Ron Clark Academy/Promethean Thank a Teacher contest. We gave it our all but fell short. I think last count there were 582 likes between the two pages on Facebook. Not bad for a 1st grade teacher. Help me in congratulating Amanda Morris and Donna Porter as the winners. We did not wing he door contest with our "Don't Let the Pigeon Stop Reading!" As you can tell from the pictures there were some fabulous door decorations! The Lonely Firefly and Stripes were recognized for 2nd and 3rd place for the primary classrooms while the Flat Stanley door won 1st place overall for the primary classrooms. Way to go! Ron Clark & Promethean-pinch me! Copy and paste these directions in an email to all your friends. Voting stops midnight Monday and they announce on Tuesday. What are you waiting for? Like away on Facebook and get me to Atlanta! Our 2nd Annual Character Parade took place today. We dressed up as book characters and then had a parade walk throughout campus. It was so wonderful to take part in the celebration of reading. I dressed as Junie B. Jones of course! I saw many Junie B.s but the most represented book was the Hunger Games. There were so many I took some group shots. You have to check out my firsties and just heart them yourself! An added feature was a door decorating contest. 2 winners primary and intermediate will be announced tomorrow. I wonder who they will be. Personally our Don't Let the Pigeon Stop Reading is our favorite but that Math Curse and Jack and the Beanstalk were pretty good. Make sure to check out the Frindle and BFG door-it was 3D!! I will have to blog tomorrow and let you know. Enjoy the movie, it was so much fun to be in school today! Ms. Patti came by for a visit. Her eye, I mean son haha dressed the part to teach the class about the eyeball. We learned the parts. Did you know the white stuff is called your sclera? Even my hubby did not know the name. We learned about eye safety and how you should wear goggles or sunglasses, and NEVER look directly at the sun! Ms. Patti even brought each of us a goody bag. Inside their were recipes to help with our eyes and sight! OK so the COOLEST part was the sheep eye in the Ziploc we could touch and pass around! Ms. Patti you are the BEST ever! Well the families have outdone themselves once again. April's family project was to make something out of something else-reduce, reuse, recycle. Check out the cute projects! Happy Earth Day to all! I love reading Fruit is a Suitcase for Seeds in our reading series. The kids bring in various fruits and we get to examine the seeds up close. I love it when we get a different fruit and this year we had 2! Brady brought in a Pomelo. It was quite large and it peeled fairly easy. It smelled so good in our classroom. Clean like citrus! It turned out to be pretty tasty-sweet which was surprising. Devyn brought in a melon native to Costa Rica. It was sweet as well and tasted pretty close to a honeydew. Check out our slideshow. The highlight was combining it all and making our friendship salad. YUMMY!! Thanks to the parents and friends for such a great, healthy treat! April already? It is hard to believe we are 4 months into 2012 but even harder to believe the Easter weekend has ended. I spent the weekend with my entire family. We laughed, watched Carson play baseball, and watched the sunrise this morning at the Easter service for our church. Of course, I ate way too much but enjoyed every bit of it! My mom and dad can really cook. I just love my family and I feel so blessed to have them in my life every day. I am the luckiest person to have Tim and our beautiful children to count as my blessings. Another blessing is my job with the firsties! I love going to work each day and seeing how incredible little people can be. They are doing an amazing job reading, using mental math, and using the technology we incorporate throughout the day. We had a great Friday with our Easter egg hunt, yummy treats, and of course the bunny hop! Big thanks to Mrs. Foster, our PTA President for making a popcorn cake. It was yummy! We had 100% parent participation with PTA memberships and earned our special treat and a smoothie party on Tuesday! 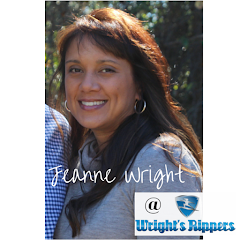 Way to go Wright's Rippers families. Check out the video below. Great fun. The day finally came-the Jack Hartmann concert! We were so excited to see him sing his songs and we were going to dance our socks off. I just love getting up on stage and watching my firsties and their faces-priceless! Check out the video. Well this just might be the year one of my firsties catches the leprechaun! Our annual March family project is to create a trap or decorate a rainbow. The parents have outdone themselves! It is so much fun listening to them talk strategy and who in their family did what part of the project. Sometimes they make me laugh out loud during their presentations. You have to see these traps and rainbows. A huge thank you to all the families for your creative ideas. I did tell the kids to set the traps last night and try to catch one. Please keep a hold of him until he gives you his gold and then remember your favorite 1st grade teacher! 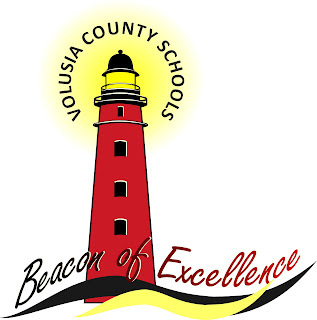 Enjoy Spring Break and the warm Florida sun/beach! Happy St. Patrick's Day! The beginning of March makes me giddy every year! How could it not?!? It's Dr. Seuss birthday week. 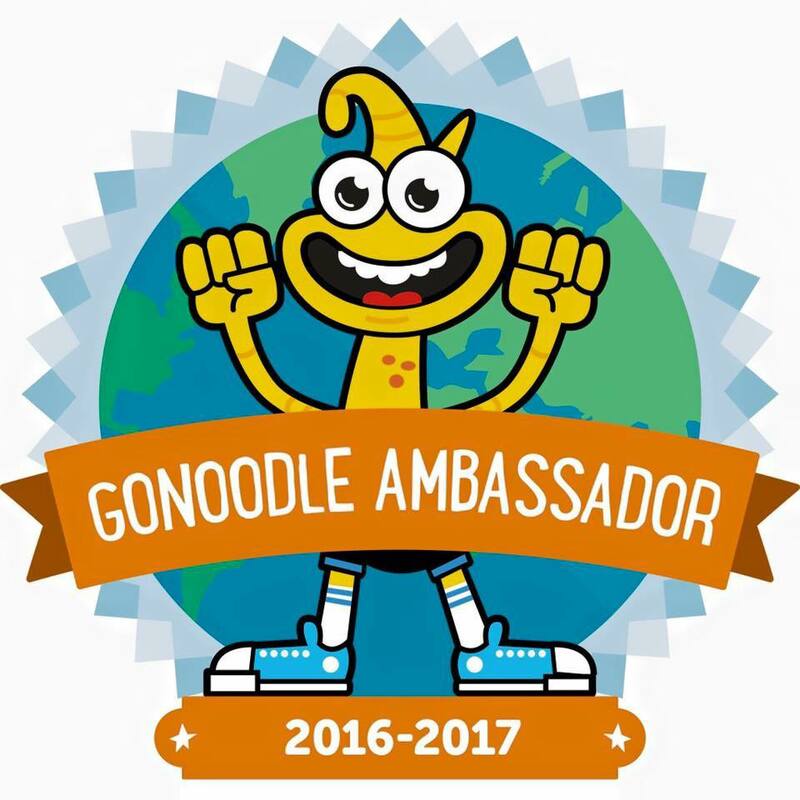 Each day our 1st graders were ready to read and take part in one adventure after another. Monday was Green Eggs and Ham Day but we celebrated with lime sherbet and whipped cream. YUM! Tuesday was Fox in Socks crazy sock day. Wednesday was WACKY with mixed matched clothes and wacky hats! Watch out WACKY kids ahead! Thursday was wear your funky glasses! They are cute as can be! I am one of the 4 sponsors at our school for the Girls on the Run program. We talk about positive eating habits, self image, empowering one's self to coexist with peers, and create a service project. We do run as well. :) At the end of the program we all partake in a 5K. It is quite the inspiring program! Our PE coaches promote physical activity with a wellness calendar. 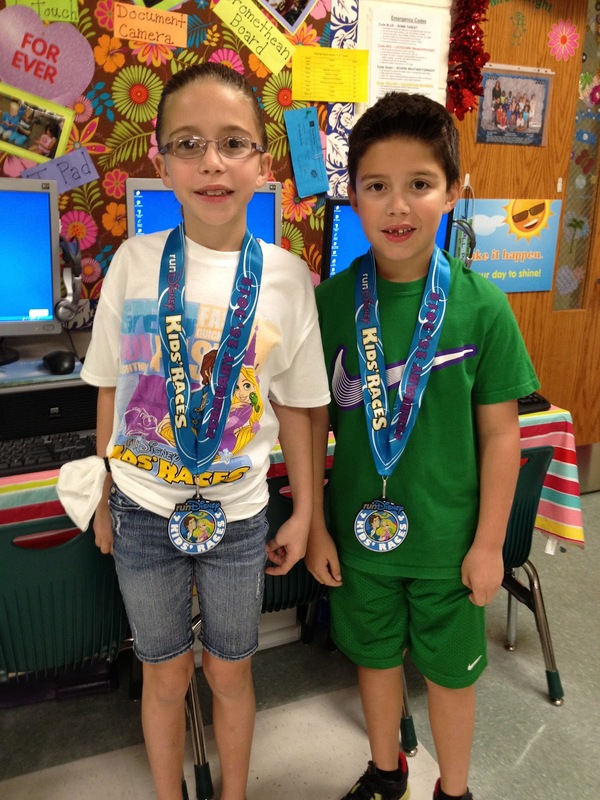 Students that track physical activities are able to choose from a list of rewards from business partners. All of this inspires families and look at our Kasey and Rachel. The recently competed in the Disney kid race. They ran a mile in less than 9 minutes! Check out those medals. Their mom ran her 1st half-marathon-Congratulations Cheryl!! Doesn't it make you want to get your running shoes on? I can't wait for Zumba Tuesday night. Get out there and do something. Using the green screen YIPPEE!! I am so loving using the movie editing on my MacBook Pro. What better way to use that and the green screen to help with our weekly reading skills. Our theme for the week was favorite stories and beginning, middle, and end in stories. One group read The Lion and the Mouse and created a retell. We filmed them in front of the green screen reading their retell from the computer. We learned not to wear green in front of that green screen. Brady looks almost invisible. Another group had to write about their favorite book and created and original artwork. Wasn't this the coolest! The kids loved it and I do believe there is more green screen in our future. Really have we been in school for 100 days? Time sure does fly when you are having as much as we are! We have celebrated the 50s and 80s day so what could I have planned for this big day? A LOT!! We counted and counted. We rolled dice, made trail mix, danced, sang, and counted 100 steps from our front door. We talked about our 100 bags and amazing enough there were no repeats. We made pictures with a 100 and they were super cool! For the first time I rounded up 100 Legos for each child to see their creations. They were fabulous! Check out the youtube video. We had a ball making the first 100 days so memorable. What do I have planned for the next 100? You will have to check back to see. Kasey's big sister wanted to read a book to our class. She is in 3rd grade and practices her fluency by reading aloud. She did a FABULOUS job of reading Parts to our class and they really enjoyed hearing Rachel read. Parts is a Reading Counts book and the kids are really taking off with their points. I bet Rachel inspired them to read the rest of the Parts series. Thanks Rachel. FETC takes place each year in Orlando and it is the BEST technology show. I was lucky enough to attend some sessions yesterday. I was so excited to get back into the classroom and try out some new things with the kids. I attended a session on video making in the classroom. We learned about paper slide videos and I showed the class a few examples from some 2nd graders. Of course I just knew my firsties could do it! Our reading theme this week was birds and we learned so much. What better way to showcase our learning than with technology. 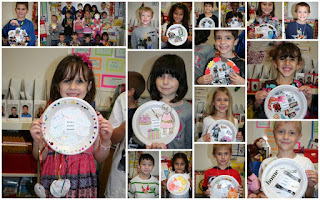 We wrote what we learned about penguins, created backgrounds, and some even made puppets to use in the video. We used a flipvideo camera to video and here they are! I love buying books, flipping through the pages, looking at the pictures, and sitting down in a comfortable spot to take some time to read. I have to say I love reading! It makes me giddy inside when it happens for a kid, kind of like getting your angel wings. Jessica was never my student, although I would have been super lucky to have her, but would come in and take Reading Counts tests. You know my door is always open and she would walk down the halls and ask if I had an open computer. SURE come on in! 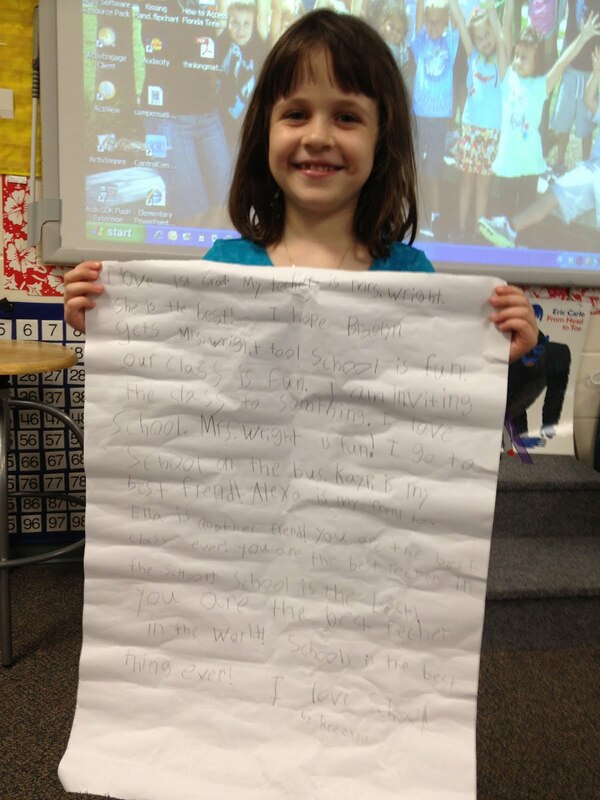 One day I extended an offer for her to come back and read to my firsties. Well she did! She read a super cute book, What are you so Grumpy About? The kids loved it! They were a fabulous audience and laughed in all the right places. Thank you Jessica for sharing and I hope you come back another day and show off your reading. We are off from school today and I asked the kids why. They knew Martin Luther King Jr. was an important man and he wanted everyone to be equal. So we talked about his life and what he dreamed for... It was unimaginable to the kids when I talked about people not getting along, using separate bathrooms, and not even talking to one another because of the color of their skin. We talked about Martin Luther King's dream and how one day it would be different. I have known since I was 8 and in the 4th grade that I wanted to be a teacher and a mommy. I am thankful each day to have lived my dream. I have the best job in the world where I am surrounded by little friends. I am married to the most amazing man and we are raising 2 of the most fabulous little people ever! Thank goodness for dreams. I asked the kids to think of their dreams. We dressed up and wrote about our dreams. I saw it on Pinterest and these are the cutest things ever! I am excited to be surrounded by future scientists, chefs, waitresses, Nascar drivers, nurses, police officers, vets, baseball and football players, and a mommy. What a way to spend my days, with all the future looking brighter and brighter. Zero the Hero had plastic bracelets, big earrings, fluorescent gloves, off the shoulder shirts, skinny black ties, Converse shoes, and BIG hair! Wait and he was doing the Moonwalk. Yes it was the 80s and we celebrated the 80th day of school. I read about it on another blog last year and thought oh what fun! I have to do that. I don't think the kids will ever forget it! We dressed up and watched some clips from the 80s cartoons. Remember the Muppet babies, Smurfs, Snorks, HeMan, Rainbow Brite, Strawberry Shortcake, and Teenage Mutant Ninja Turtles. I even brought in my Cabbage Patch doll, Janice Illonka Jurgensen. I know FUNNY! I showed some bands and let them hear some clips from 80s music. I started writing down some of the funny things they said throughout the day. Lauren looked at Poison and said, "So they didn't have any flat irons?" I think it was Sofia that said, "Those are boys?" While listening to Separate Ways by Journey the kids said it sounded like Christmas music. Another one asked if we were listening to jazz music. Those firsties are the best ever! Pajamas, hot cocoa, oh my! What could be better than a day at school in your pajamas? I tell you not much! Our annual school wide pajama day is the last day before the Christmas break. Everyone and I do mean everyone, parents, teachers, administrators, everyone comes decked out in favorite pajamas. We read, write, share, eat chicken noodle soup, decorate cookies, drink hot cocoa until the end of the day. A truly cute sight is seeing all the kids on the playground playing in their pajamas. Our biggest treat was a surprise FedEx package all the way from the North Pole from you know who! The kids loved their new silver bells and I am sure parents everywhere are thankful for those bells. :) Merry Christmas! Melissa Shaw at Ortona Elementary started a gingerbread exchange a few years ago. Each year we are asked if we would like to make gingerbread people and send them to friends all over the US. It is such a fun way to talk about the things that make us unique and learn about states in the process. Each year the gingerbread people get cuter and cuter. Take a look for yourself and look where they came from! Of course I had to give the Louisiana one to Ms. Jess. He was sporting his orange and purple gear ready to play the National Championship game against Alabama. Go LSU! Family homework is great to hear about when it is all done. It is heartwarming to hear how families sit around, talk, laugh, and create memories to last a lifetime. Each year the December project is to trace family member's hands and talk about favorite parts of the Christmas season. It is so neat to see how creative the families get with their design. Make sure to check out the latest. FFEA's Annual pictures with Santa just gets more creative year after year. This year John Deere let us borrow a tractor so Santa could sit with the kids for pictures. Check us out with Santa. Thank you to all that helped with this annual project! The kids love it! Each year the local newspaper and area businesses sponsor a Santa letter writing contest. I try to enter each student and this year the Daytona Museum of Arts and Science hosted the party. Santa was on hand to see the boys and girls. I took a few pictures of our firsties! We enjoyed punch and cookies and even visited part of the Museum. Winning letters are published in a special insert a few weeks later. We were so lucky since our very own Cate won for the 1st grade division. YEAH Cate! She won a $25 giftcard to Target. Let me tell you the rest of the story. 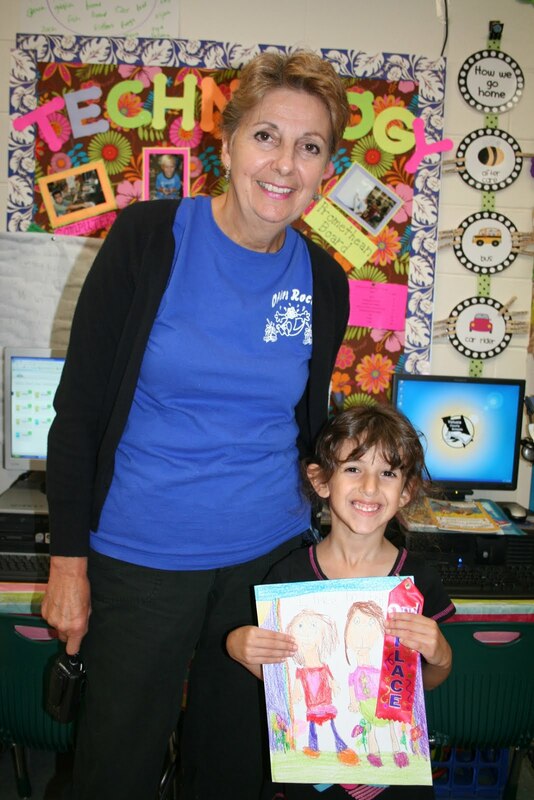 Cate was in Mrs. Zaehring's Kindergarten last year. She has a donor that gives each child $5 to spend on supplies and maybe add a little extra to pay it forward to a needy family. Each year Mrs. Zaehring invites the Salvation Army to pick up ALL that the kids and family bring in to share with a family. Cate and her family were part of this project last year. 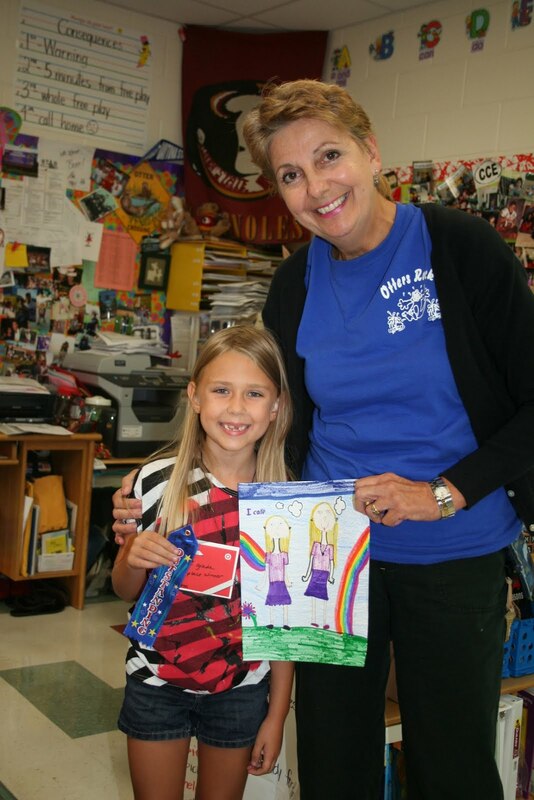 Cate used her gift card to buy items and then took them to Mrs. Zaehring to use for the annual project. It makes me proud to even know such thoughtful people. I don't know of many who know the story but it gives me goosebumps when I think about it. I hope to donate to such a worthy cause next year! 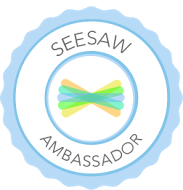 On an even more special note...I think I have had my class enter this each year since it started and encouraged my own children to enter each year. This year was Kaile's last entry since she will go to middle school next year. She WON for the 5th grade division. She asked Santa to keep the soldiers safe since we are free because they fight for us each day. It was a proud moment for me since my dad served in the Air Force for 22 years. We love you Agong and pray for a safe return for all the soldiers. The Marine Science Center is such a fabulous place to visit and we learn so much there! We learned about reptiles, turtles, taking care of the beaches, stingrays, and how they rescue birds. The highlights included see the owl, touching the stingrays, and even touching a real anaconda snakeskin. To learn more about the science center click this link. Enjoy the pictures. We had the best time ever! I am not sure how time got away from me but I need to make up for it. Our school is such a fabulous school and I brag about it every chance I get. Our PTA is incredible and we have many functions thanks to them. Our Fall Festival was even better than it was a few years back. They are so creative! We had the rock climbing wall, jump houses, obstacle course, pony rides, and games for all to play. This year we had a photo booth and it was super cute! I think the best new thing was the silent auction. Each grade level was encouraged to rally the parents together to create themed baskets and the $ raised would go back to grade levels. Well of course I put Jess in charge and she came through in a BIG way! Take a look at our "Around Town" wagon. 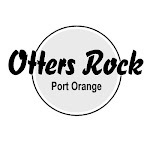 Our community graciously donated a make a cookbook, Walmart gift card, go cart racing tickets, an entire dental exam for a child, and OH SO much more... Jess then painted "Otters Rock" on the side and set the whole thing up. Thank you to all of the businesses that donated and to Jess for being such a ROCK STAR!